The Power Pulse Connecting Pipe incorporates a presilencer unit to moderate the sound level to a deep, throaty tone. 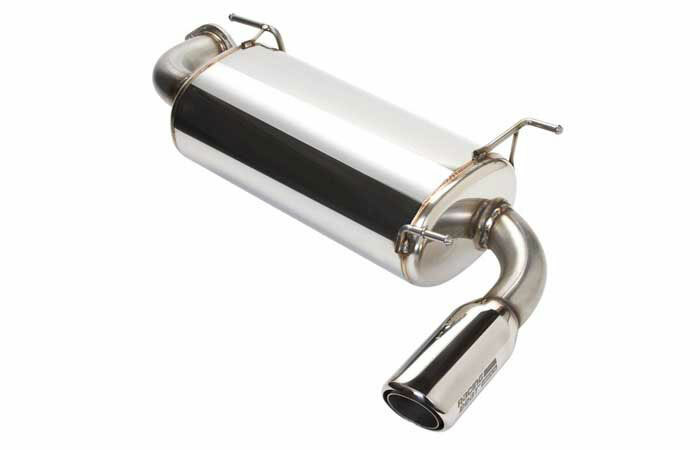 Both the muffler canister and the presilencer are manufactured using a stainless steel perforated tube core, wrapped with stainless steel wool, and packed to capacity with a high temperature ceramic wool. This design technique allows for a low restriction, straight through design, combined with superior sound dampening characteristics. 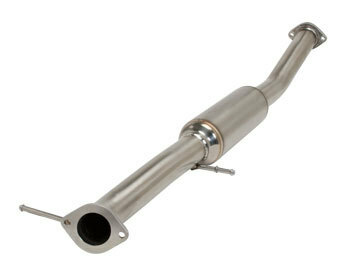 The connecting pipe for the 1996-97 Miata includes a mounting fitting for the OBD-II required oxygen sensor.